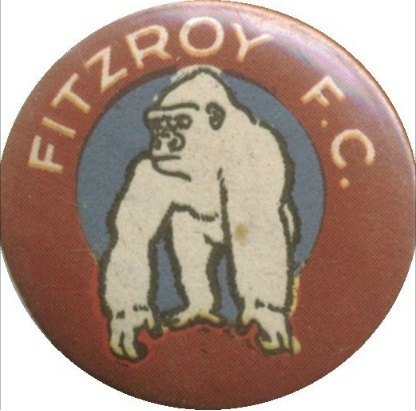 Formed in 1883, and winning the VFA in 1895, the Fitzroy team was one of the eight foundation clubs that split away from the VFA and formed the VFL (now AFL) in 1897. Fitzroy won the grand final in 1898, the first year that a grand final was played, and for the next 20 years was a dominant team, winning premierships in 1899, 1904, 1905, 1913, 1916 and 1922. An eighth premiership in 1944 was the clubs last in the VFL era. After a long struggle, the club merged with the Brisbane Bears to form the Brisbane Lions in 1996. The Brisbane Lions have won three consecutive premierships between 2001-03. Fitzroy dominated the Brownlow Medal during the 1930s with Haydn Bunton (1931,32,35), Wilfred Smallhorn (1933) and Dinny Ryan (1936) winning medals. Initially known as the Maroons, the club adopted the nickname the ’Gorillas’ in 1938, but the name was not popular and was changed to the more popular ‘Lions’ in 1957.